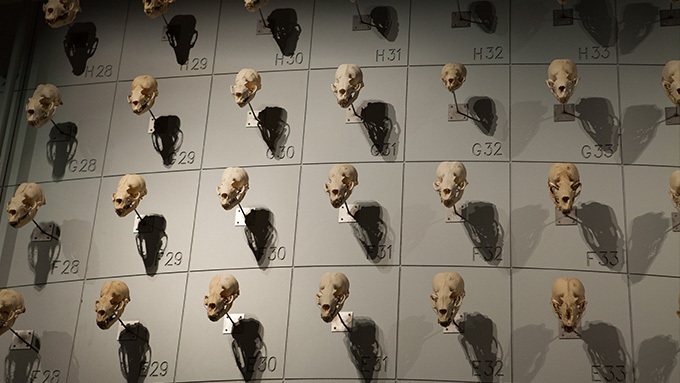 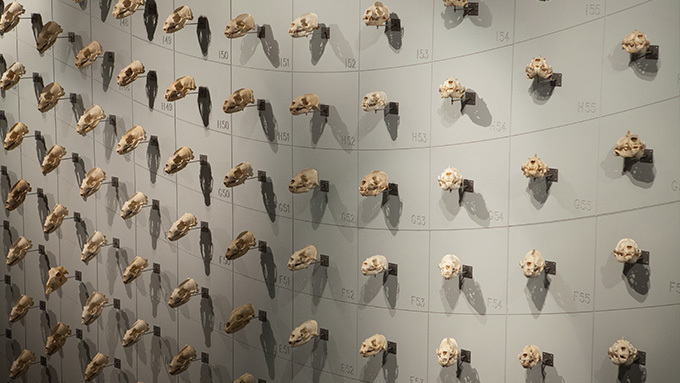 For its fourth collaboration with the California Academy of Sciences, Cinnabar worked closely with the Academy’s design staff to develop and fabricate casework, mounts and several interactive elements for this 4,000-square-foot exhibit about skulls showcasing the museum’s extensive collection. 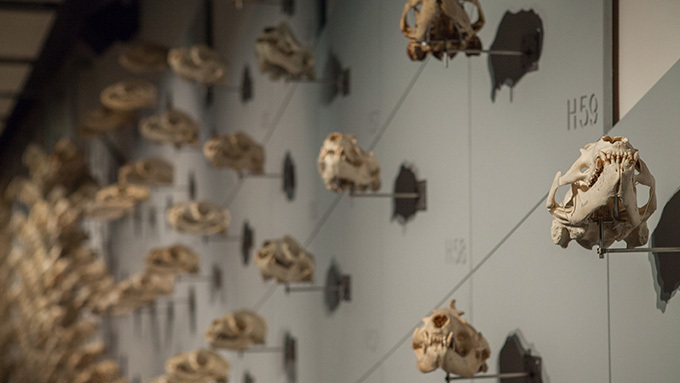 From an enormous African bull elephant to a tiny elephant shrew, the 640 skulls in this exhibit tell stories about the lives, deaths and evolution of vertebrates. 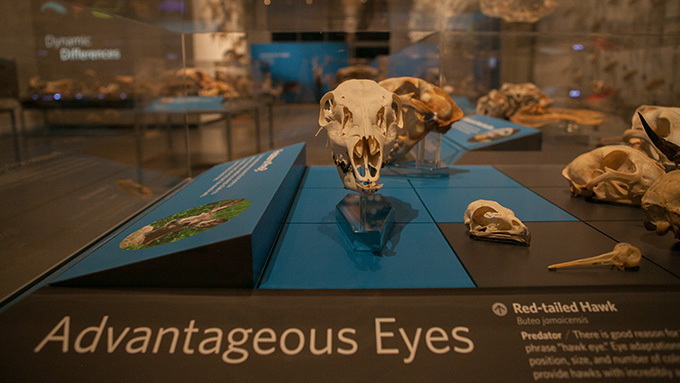 Cinnabar began working with CAS early in the design development process in order to accommodate a tight schedule. 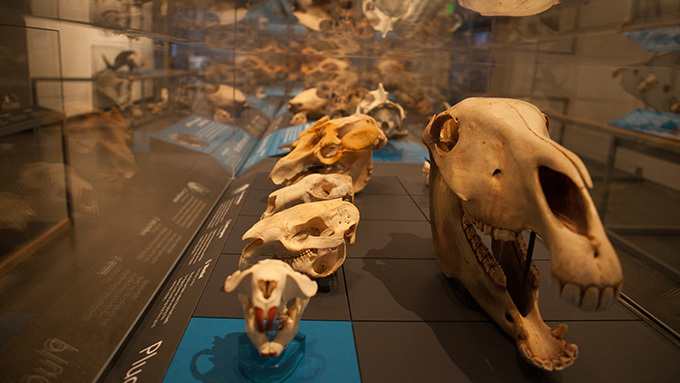 The project entailed addressing mounting concerns that included heavy weights (a 218-lb elephant skull) and large quantities (a wall of over 400 Sea Lion skulls). 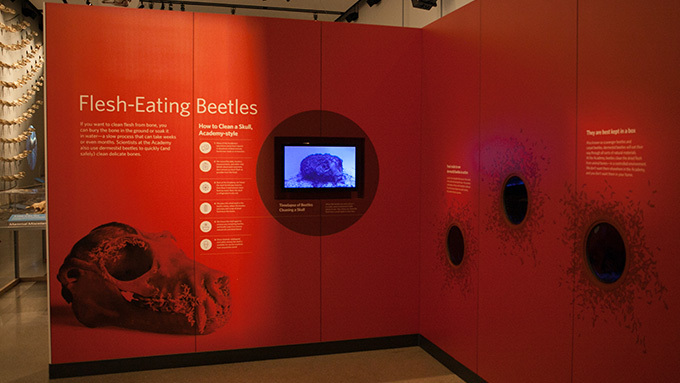 It also involved providing an enclosure for live dermestid beetle larvae that eat carcass flesh off of the bone, and developing a number of highly interactive experiences, including a Predator and Prey vision station that enables the viewer to experience and compare the vision of a lion to that of a zebra. 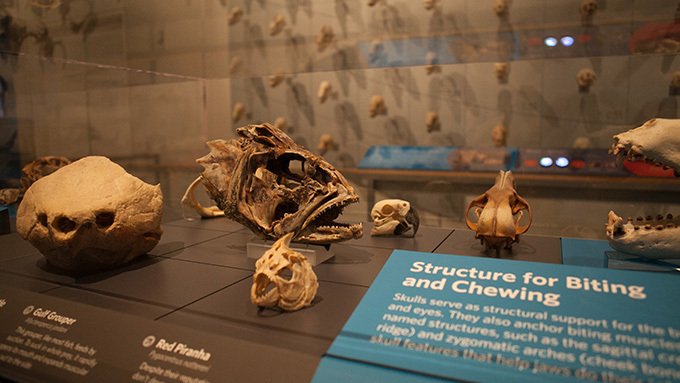 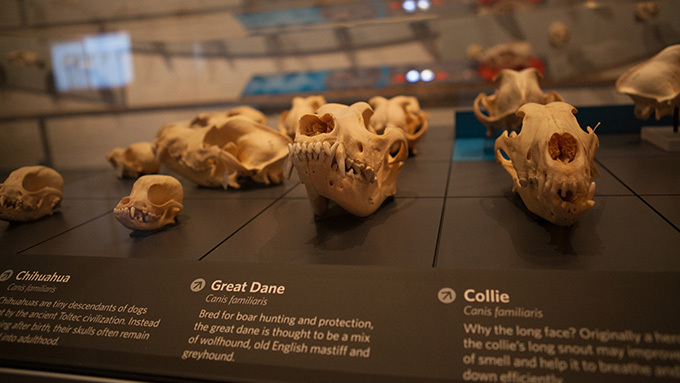 Together, in just three months, CAS and Cinnabar accomplished a feat of speed, efficiency and quality in developing, fabricating, and installing a beautiful exhibit that allows viewers to marvel at both the startling differences and surprising similarities between a wide range of vertebrate skulls.